Hear the talking caller ID phone speak. See the talking caller ID phone as it rings. 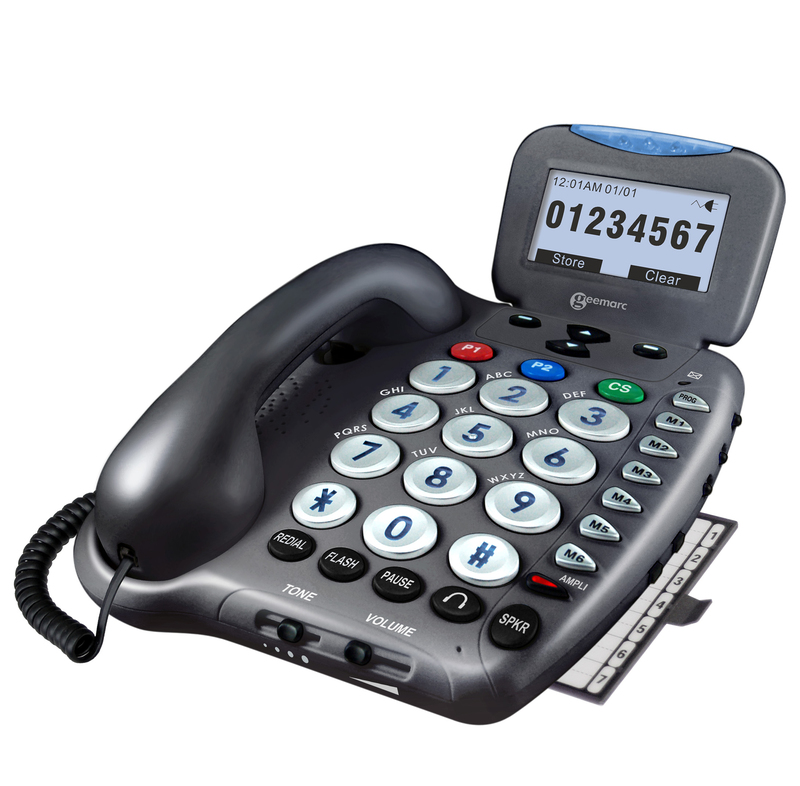 This Ampli550 Extra Loud Talking Caller ID Phone is something you will not find anywhere else. Utilizing TruSound Digital Technology, the phone boasts 55 dB of extra amplification and an amplified speakerphone that goes up to 15 dB. It features talking keys and a talking caller ID. While a phone with talking caller ID might be different, this phone accomplishes everything it is meant to, especially since it's among the large key telephones. This phone even has a camera LED ring strobe flasher. With nine on-touch memory dial buttons (two for emergency, six for standard, and one for customer service), it is definitely a powerhouse of a telephone. It also has a four position positive hold tone adjuster that keeps the tone adjustment from accidentally moving. One of the greatest large key telephones, this telephone can accomplish a lot and it is waiting to go to work for you! Large 1" backlit easy to see and hear talking keys. Amplified speakerphone up to +15 dB.